Welcome to Day #1 of Chocolate and Almond Theme Week. 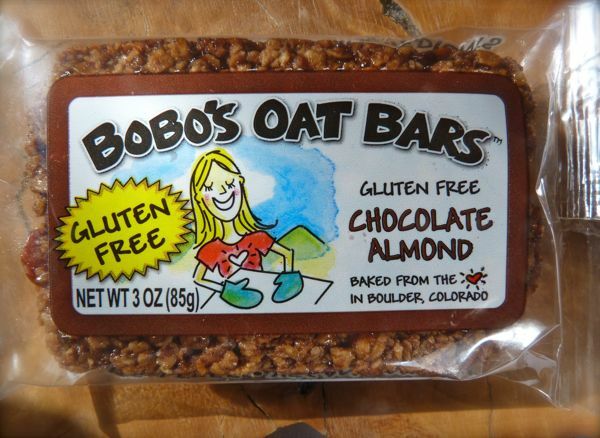 Today's first entrant in this nut-themed chocolate week was a generously sized snack bar from Bobo's Oat Bars (Boulder, CO). The company offers a line of individually-wrapped "Regular Bars." 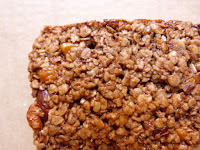 They also offer several "Gluten Free Bars" in different flavors*, such as their only chocolate entry: today's Chocolate Almond bar. 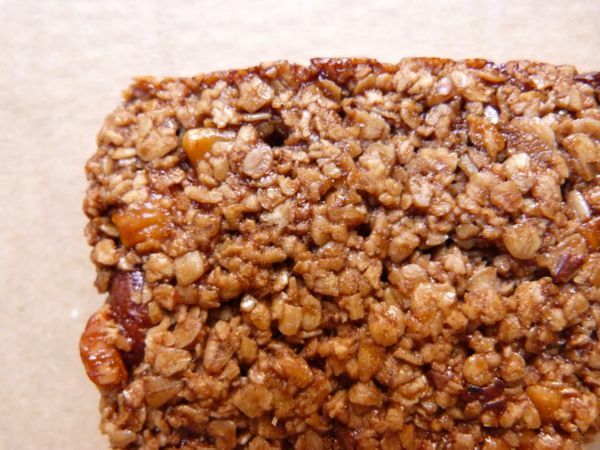 These bars are "gluten free, vegan, kosher and non-GMO." They'd be a good snack for a hike or bike ride. 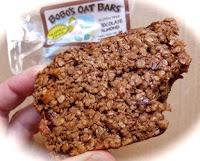 *Bobo's Oat Bars Gluten Free flavors listed on their site included: Peach, Maple Pecan, Lemon Poppyseed, Chocolate Almond, Apple Pie and Peanut Butter and Jelly.